It’s not every day that an actual time traveller turns up in store, but the original Timelord, aka the Doctor, probably knows a thing or two about the history of the HMV flagship store at 363 Oxford Street, in the heart of London’s busiest shopping street.. In fact, it’s a good bet that the Doctor has probably turned up at legendary location – the site of the retailer’ first outlet in the UK. It dates back almost 100 years, not quite as long as the good Doctor’s estimated 2,000 years on this mortal coil, but you’d guess that he had been there at some stage or another. 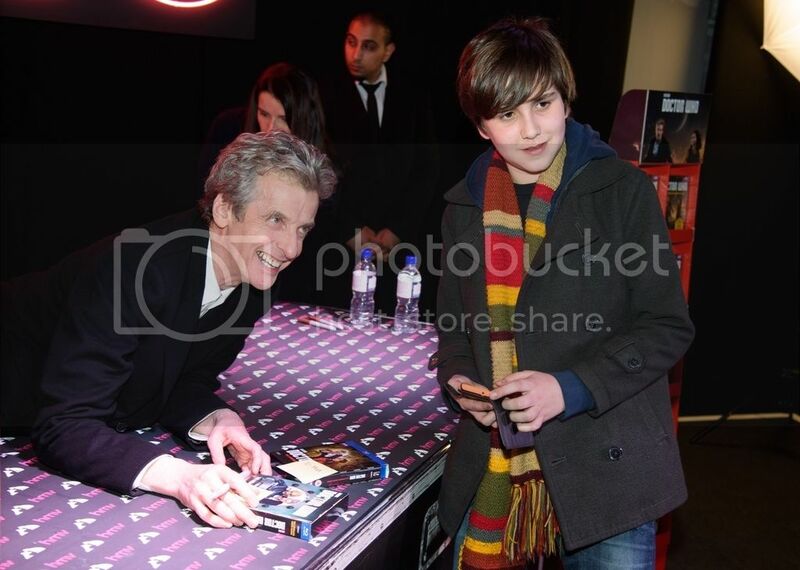 He certainly was present on March 7 2016, as the latest incarnation of the Doctor turned up at HMV to mark the release of the complete ninth series of Doctor Who by BBC Worldwide. Each release of recent Doctor Who titles from the organisation has been matched by a day’s worth of activity by which ever regeneration of the Timelord is present in the TARDIS. 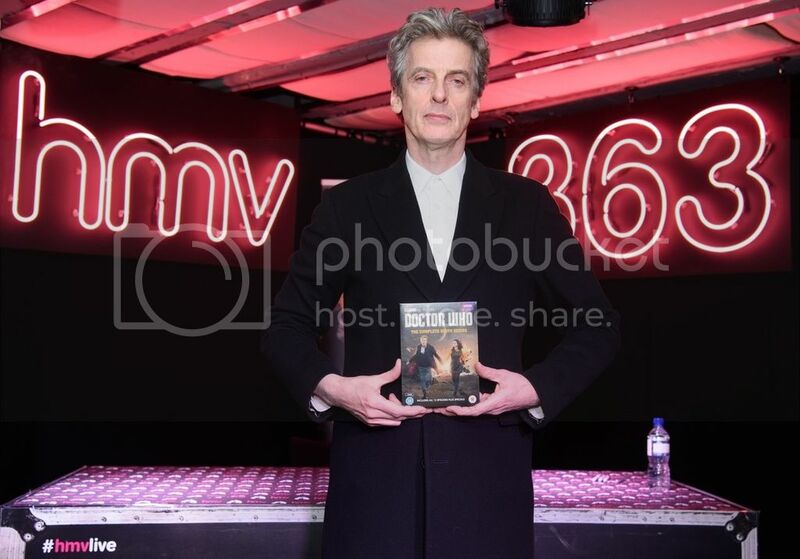 And so for this latest release, it was down to Peter Capaldi to head out for a PR tour and the signing at HMV. He began his day with a trip to Lorraine Kelly’s morning show in ITV, moving on to BBC Radio 2’s Steve Wright show, with further interviews in the likes of Radio Times (see here) and Newsweek (see here) There were further excursions for phone interviews out to the regions, with coverage on BBC Radio Scotland and BBC Radio West Midlands. And then there were the three hours spent in HMV, patiently signing copies of the boxset for a few hundred assorted Whovians and devotees.